"These T-Track Stops are quick and easy to use for a wide variety of work-holding applications," says Steve Krohmer, Rockler's Vice President of Product Marketing. "The fact that they leave plenty of clearance for the use of hand and power tools makes them invaluable for a wide array of projects." 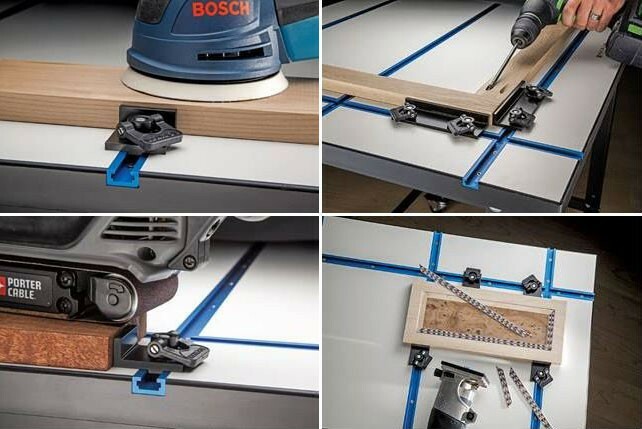 T-Track Stop are almost like bench dogs for the Rockler T-Track Table, only better, because you are not limited by the spacing of bench holes. You can slide the T-Track Stops anywhere along a t-track to adjust to your material.